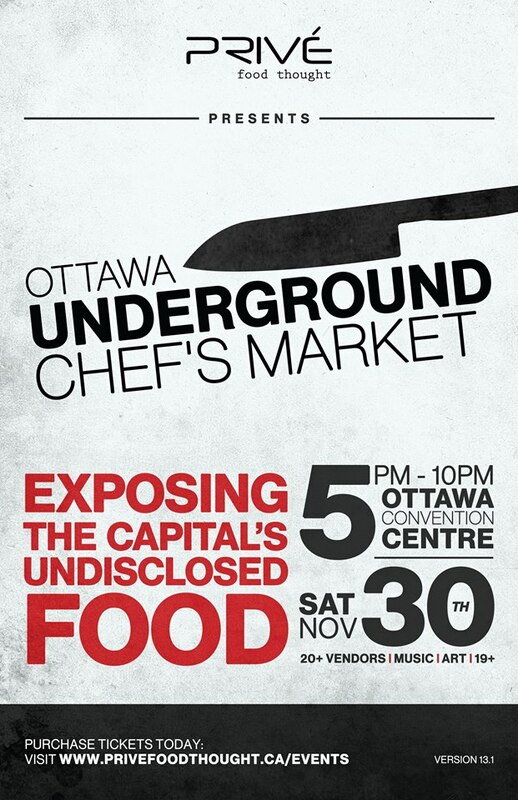 Foodies get ready, on November 30th there’s a new culinary event in town: the city’s first Underground Chef’s Market. The event is being organized by a new start-up, Privé Food Thought, whose goal is to produce and promote culinary-related events in the city. 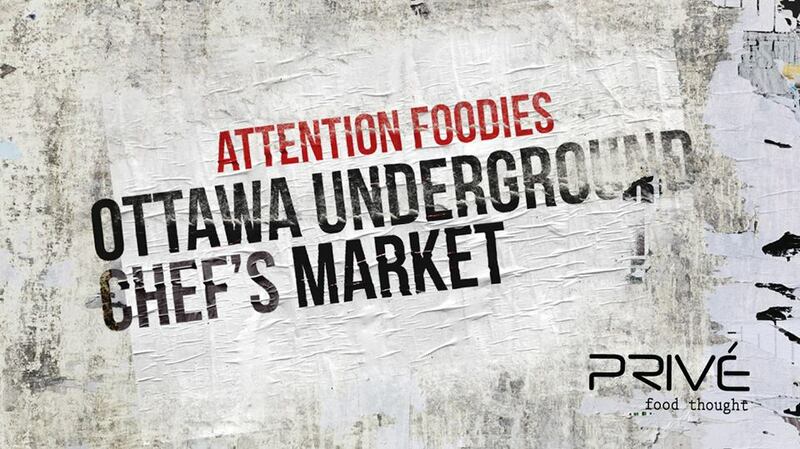 The Underground Chef’s Market will be made up of professional chefs as well as passionate home cooks. Featured will be dishes from over twenty vendors who were picked based on their application’s flavour, presentation, and uniqueness. The aim is a street food-type feel, so that market-goers can have tastes of everything from Spanish tapas to Sicilian snacks and Asian fusion as they explore the vendors set up in the Ottawa Convention Centre. The organizers say they want to bring this event to the capital to “rebrand the city’s food scene”. By promoting independent cooks and businesses, they are hoping to provide a platform for emerging vendors to get a feel for the public’s response to their dishes, and at the same time will introduce Ottawa to new local chefs and flavours. The aim is to run the Underground Market a few times a year. What can you expect to eat? Privé Food Thought has shared glimpses of the diversity to be featured: duck popcorn, chipotle waffles, gourmet donuts and Salvadoran papusas are just a few of the dishes set to tantalize your taste buds. A DJ will be on hand to spin some tunes and artwork by local artists will also be showcased. Tickets are $10 in advance, each dish will cost between $1-10, and there will be a cash bar inside (the event is 19+). Intrigued? Come out at the end of the month to taste these creations while they’re above ground! And there’s more to come –follow Privé to find out what they have in store for 2014…. Bon appétit and see you November 30th! This entry was posted in Food, Glorious Food!, Local Loving, Ramblings and tagged ottawa, Ottawa events, Privé Food Thought, Underground Food Market by kshap. Bookmark the permalink.